Jorge Lorenzo will fight for the 2018 MotoGP title with Ducati, believes the series' commercial chief Carmelo Ezpeleta. His best results are third places at Jerez and Aragon, and he is currently seventh in the standings and therefore on course for his least statistically successful MotoGP season. But Ezpeleta believes Lorenzo's recent progress bodes well. "I believe Jorge will be in the fight for the championship next year," he told Autosport. "There is no doubt that within Ducati everyone is happy to have him. "I think Lorenzo is improving, he has been leading in some races for many laps. "It's true that he still needs to understand better the Ducati and the tyres, but Jorge is doing it step-by-step." Lorenzo's form has improved since Ducati introduced a new aerodynamic fairing at Brno in August. 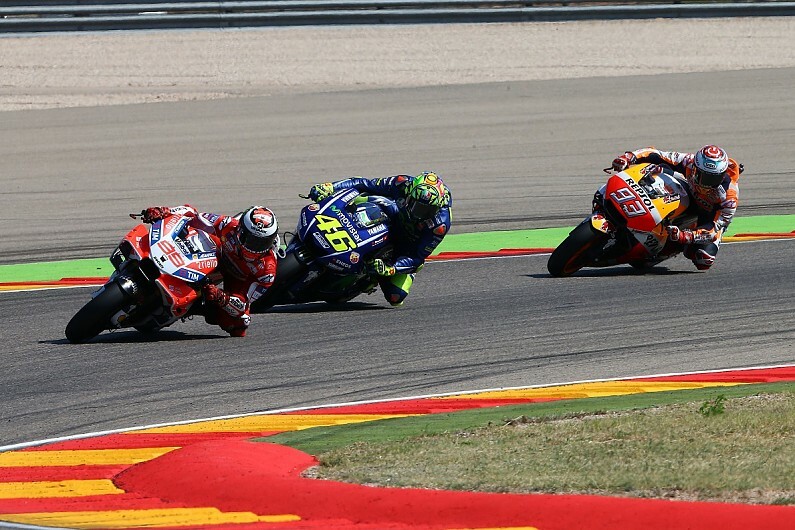 He has also led three of the last four grands prix, including for 15 laps at Aragon a fortnight ago before dropping behind Honda's Marc Marquez and Dani Pedrosa. Lorenzo's team-mate Andrea Dovizioso, who has been at Ducati since 2013, is mounting the team's first title bid since the Casey Stoner era. Dovizioso has won four races this season and goes into the final four rounds 16 points behind championship leader Marquez.